Brexit: What are financial services firms planning for? The implications of Brexit will be hugely important right across the economy. But they are a particularly dominant theme for financial services, given the relative size of the sector in and for the UK, and given its regulation is currently done on a highly-integrated pan-EU basis. For many firms, it could be a huge potential shock-wave to their current ways of doing business. What should financial services firms be planning for? 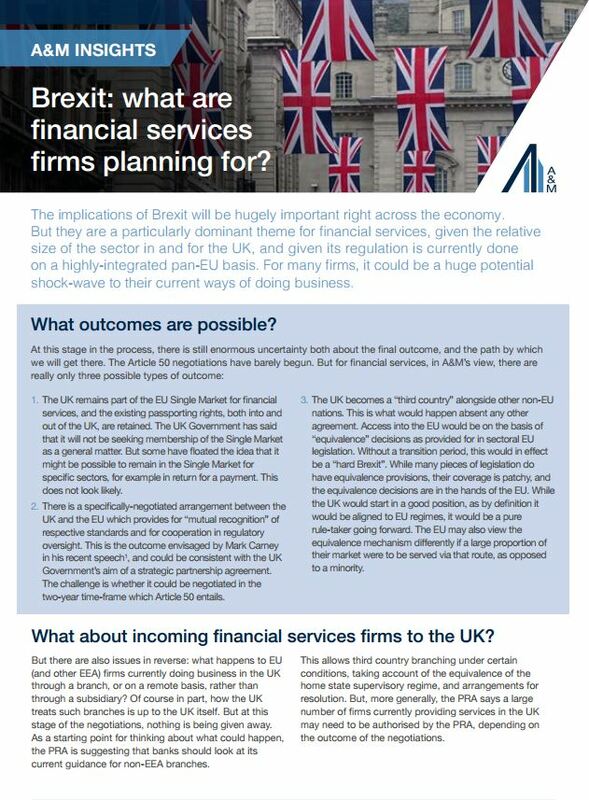 Bexit: What are financial services firms planning for?